Silverdale’s Cherisse Martinelli will play the title role in Second Story Repertory’s production of Andrew Lloyd Webber and Tim Rice’s “Evita,” which opens with a preview performance March 3. 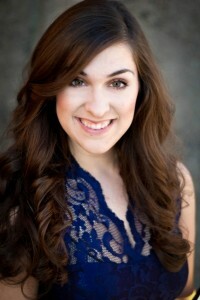 She was a regular in shows at both CSTOCK and Klahowya Secondary School before moving on to Central Washington University, where she earned her BFA in Musical Theater. 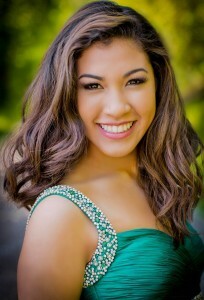 She was also Miss West Sound for 2015. Performances of “Evita” are on Thursdays through Sundays through April 3 at SecondStory,7325 166th Ave. NE. Ticket information is available at 425-881-6777 and secondstoryrep.org. The last time I saw Abigail Dominguiano on stage, she was playing Gabriella Montez (that’s the female lead, y’all) in “Disney’s High School Musical” and in the ensemble for “Willie Wonka” at CSTOCK. Since then , though, she’s been doing her thing on a different kind of stage, winning local and state titles to advance to the Miss America’s Outstanding Teen 2016 competition. The Central Kitsap High School student is on her way to Orlando, Fla., to compete in the junior version of the Miss America competition, July 28-Aug.1 at the Linda Chapin Theater. Her CSTOCK experience actually goes back to 2009, and she has compiled a number of credits at the Silverdale theater ever since. Her musical-theater background shows in the scholarship competitions, too — she performs songs from that canon for the talent portions. SILVERDALE — With the clock ticking on CSTOCK’s tenure at the Silverdale Community Center, the theater company is actively seeking a new home. Their current production of “Joseph and the Amazing Technicolor Dreamcoat” is Exhibit A for why this really, really needs to happen, and soon. Perfect theater, it isn’t. But durn-near perfect family community entertainment — and an admirably solid take on the Webber-Rice musical based on the biblical parable of Joseph and the Coat of Many Colors — it certainly is. It’s a prime example of what a family-oriented, roll-up-your-sleeves little company can do with a piece that’s well suited to their talent pool and their venue, filling its niche in the Kitsap theater community and putting on a pretty solid show to boot. Director Sherry Knox doesn’t shoot for the moon; that’s not what CSTOCK does. She does a won derful job of using what she has, dressing it up nicely, making sure it’s well-rehearsed, and then letting the multi-generational cast get out and do their thing. CSTOCK doesn’t always manage to hold to its family-first aesthetic, admirable as it is, and still present a representative version of whatever show they’re doing, one that’s strong enough to satisfy not only Mom, Dad and the other relatives, but the casual viewer who’s there strictly to see a show. But they do this time. In the hands of Knox, musical director Meredith Ellringer and choreographer Ryan Posey, the show gets a staging that is brisk, joyful and, yes, worthy of the source material. And it does it in CSTOCK style, with a cast heavy on youngsters, an Everyman ensemble and a few dependable veterans sprinkled in. Those who might be intimidated by the subject matter need not be. Yes, “Joseph” is inspired by a story from the Book of Genesis, but it’s told in a way that’s anything but “churchy.” It’s light as a feather, easily digested even by young children and the most uneasy adults, and takes a few gentle swipes at Joseph, his family and the historical figures he meets on his journeys (Pharoah, played by Wallace Ross, is in full Elvis-impersonator mode, right down to the microphone). And those who might be intimidated by the number of cute little kids in the cast, including the adorable t-shirts-for-costumes “children’s choir,” well, there’s no hope for you. Go read the Sports. Knox has two solid leads in local stage familiars Dan Kluth (Joseph) and Missi Patti (the Narrator). Both bring fine, natural singing voices, credible acting and understanding of the show’s subtle opportunities for humor. And both are further evidence of the company’s family values — Kluth’s mother, Margie, is “Joseph’s” producer and chief costumer; Patti’s daughter, Gabrielle, sings in the children’s choir. The show also gives many of the younger performers a chance to shine briefly. Highlights (yours might vary) included the vocal work of Chloe VanVuren and the twirling dance contribution of Emma Kuralt. A.J. Tower does a funny, country-camp take on “One More Angel in Heaven.” Other solo bits are successful to lesser extremes, and a couple simply overdo themselves. The ensemble singing sometimes gets a little ragged, almost expected given the size and diversity of Knox’s cast and the constant movement and energy imposed by Posey’s thoughtful and thorough choreography, which keep the “park and bark” moments to a minimum. Ellringer’s four-piece combo — herself on piano, Bruce Chollar on guitar, Nick Holt on violin and Samantha Murphy on flute — don’t always solve the playhouse’s acoustical challenges, but overall they provide some of the nicest accompaniment I’ve heard at CSTOCK in several seasons. The set, of Knox’s own design with a lovely bright paint job by Laurel Spitzer, is attractive and unobtrusive at the same time. And pats on the hump for whoever stitched up the Pantomime Camel. It’s a fine, fun night out — part of a night, really, as the April 18 performance I saw didn’t quite fill two hours. It amuses, touches and entertains, and it keeps all those kids off the streets. It’s what community theater is all about.